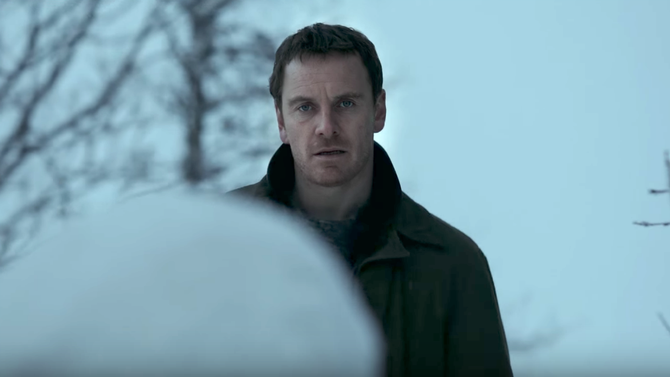 The eagerly anticipated thriller The Snowman, based on the best-selling novel from Jo Nesbø and starring Michael Fassbender, hit UK cinemas last Friday 13th – spooky! Directed by Stanley Kubrick, The Shining is a cult classic based on the Stephen King novel. Jack Nicholson stars as a writer who takes on a caretaker job in an isolated hotel during the winter months. The story surrounds a child psychologist (Bruce Willis) who becomes involved with a young boy (Haley Joel Osment) who says he is being visited by spirits, welcoming the best known line: ‘I see dead people’. Following these supernatural occurrences, we are led down a dark road and learn the truth behind these visitations. Leonardo DiCaprio stars as thief Dom who possesses the ability to enter people’s dreams and steal secrets deep from their subconscious. Promised with the reward of reuniting with his children, Dom takes on the seemingly impossible task implanting an idea into someone’s mind: inception. Possibly one of Holywood’s most complex recent plot lines and not knowing whether we are still in the dream or real world, Inception keeps you guessing even after the credits have rolled. Here we meet the infamous Dr. Hannibal Lecter, a savage psychopath played by Anthony Hopkins, who is serving life behind bars for countless acts of murder and cannibalism. A female FBI agent (Jodie Foster) is assigned to help solve the case of a killer who hunts down women and skins them alive. Her task is to interview and gain the trust of Hannibal in order to retrieve clues of the killer on the loose. Set in a prison-like asylum located on a remote, eerie island, US Marshal Teddy Daniels (Leonardo Dicaprio) and his partner (Mark Ruffalo) are on the hunt for a twisted murderess who has escaped her locked room. As she continues to commit atrocities within the asylum walls, Teddy has to also face his darkest fears to enable him to escape the island alive. Morgan Freeman and Brad Pitt star as police investigators embarking on a hunt for a serial killer (Kevin Spacey), who they believe is targeting people who represent each of the seven deadly sins. Following an explosion and a heist, five con men are arrested; the most unlikely of suspects (get it?) played by Kevin Spacey tries to convince the FBI that an infamous criminal mastermind was the ring leader behind the atrocities, who coerced the five men into taking part in the crime. But who exactly was this man? Behind all these accusations lies a dark and disturbing truth to their identity. Michael Fassbender stars in this cat-and-mouse thriller as Harry – a top crime squad’s lead detective and a drunk – who is tasked with investigating the disappearance of a victim which takes place after the first snowfall of winter. Hence the murderer is branded ‘The Snowman Killer’. After several brutal murders ensue, Harry’s task is to lure and catch the killer before any more violent murders occur. Based on the novel of the same name by Jo Nesbø, the audience follows ‘The Snowman Killer’ as he engages in a course of bloody murders with no one knowing when he will strike next.